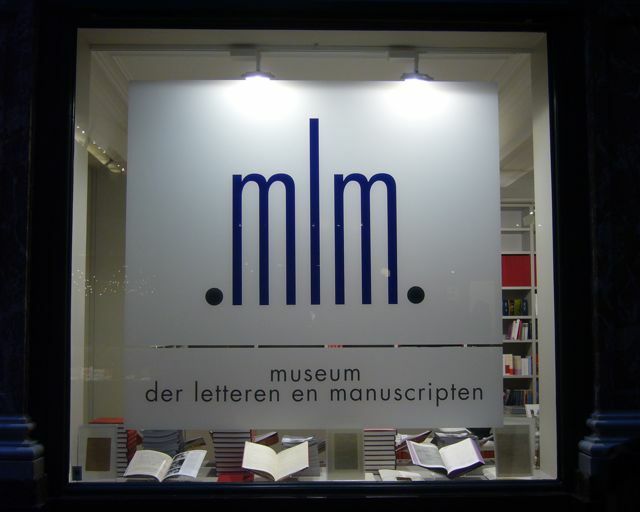 A new Museum of Letters and Manuscripts (MLM) opened here in Brussels in late September. Housed in a former clothes shop located in the beautiful Galeries Royales Saint-Hubert or Koninklijke Sint-Hubertusgalerijen in the city centre, this is the Belgian branch of the Paris MLM, launched in 2004 by Gérard Lhéritier and which is currently located on the boulevard Saint-Germain. The Brussels branch is spread out over two floors. The ground floor houses, besides the unavoidable gift shop, the temporary exhibitions. 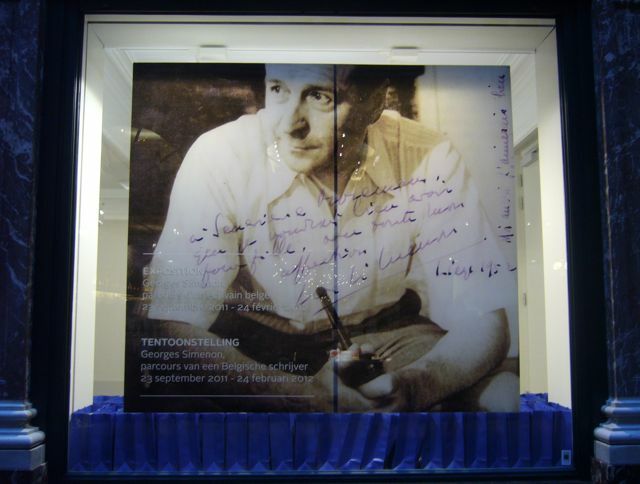 The first of these, running until 24 February 2012, is dedicated to none other than the best-selling Belgian writer of all time, Georges Simenon. 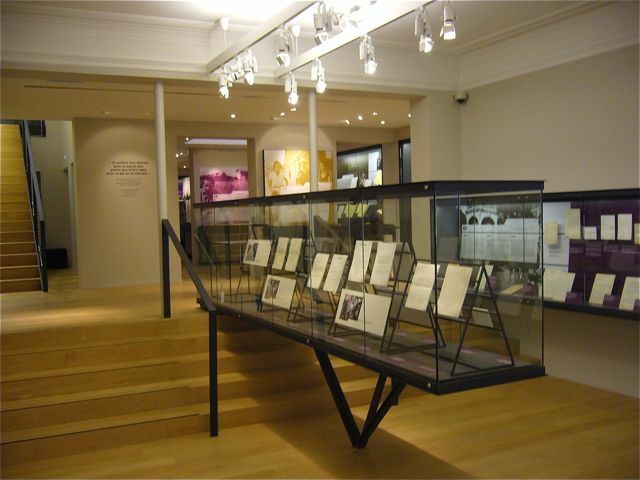 The exhibition uses manuscripts, typescripts, photographs, first editions and more to provide a general overview of Simenon’s life, from his early days as a journalist in Liège to his conquest of Paris, from his residence in the United States after WWII to his return to Europe in the mid fifties. 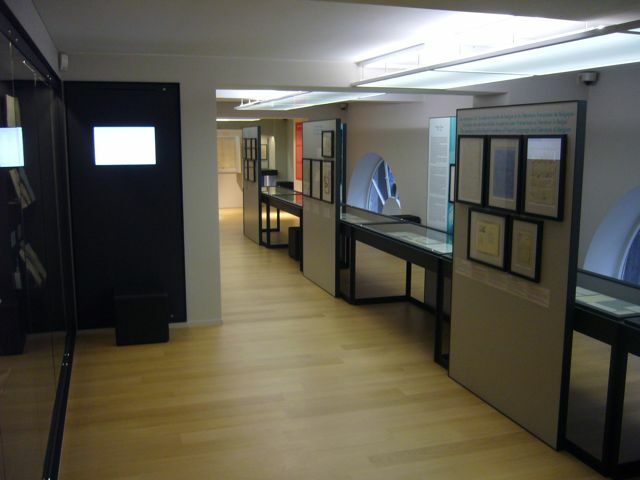 Located on the first floor, the permanent exhibition consists of five sections: Art, Literature, History, Music, and Science. While there is some emphasis on Belgium and Belgian history – from Ensor to Magritte, from Jacques Brel to Hergé – there is also room for other nationalities: from Beckett to Hemingway, from Courbet to Einstein, from Dali to Wagner. More info on the museum and the exhibitions on the museum’s website. 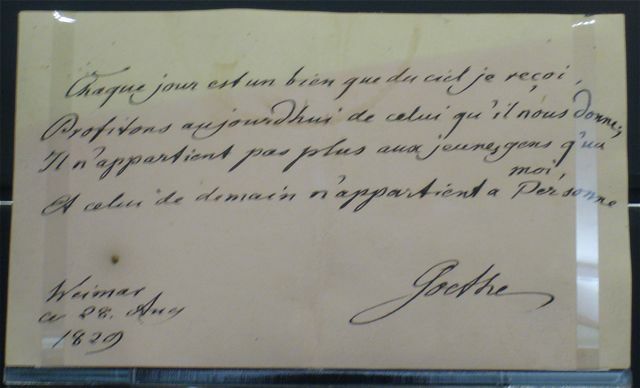 This entry was posted in Brussels, Museum of Letters and Manuscripts and tagged Brussels, Museum of Letters and Manuscripts. Bookmark the permalink. Thanks, Olivier. And yes, the museum’s certainly worth a visit!